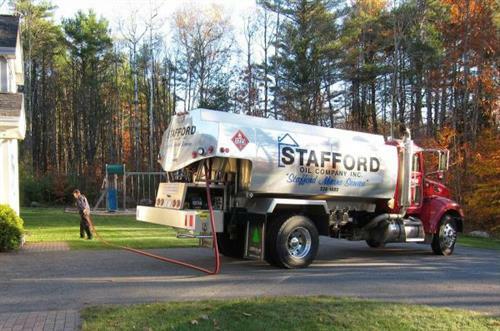 Stafford Oil is a locally owned and operated family business headquartered in Laconia that has provided home comfort to families in the beautiful Lakes Region of New Hampshire since 1928. Throughout the years Stafford Oil has built an organization that goes the extra mile to take care of all your fuel delivery and heating and cooling needs, including new equipment installations and 24-hour emergency service. We offer free Automatic Delivery, Senior Discounts, Active Military Discounts, 10-day Cash Discounts, Price Protection programs and Installment Payment plans. Our NORA trained and certified service technicians provide full service including heating system sales, installation, and repair. We sell and install Energy Efficient boilers, furnaces, hot water heaters, outdoor reset controls, and programmable thermostats.